For many years the Catholic people in the south end of St. Catharines greatly desired a parish church in their area. Their dream came true when His Excellency, Bishop McCarthy announced on September 17, 1967 the erection of the new St. Julia's Parish. The boundaries for this parish were designated as Highway 406 on the east, the Escarpment on the south, Twelve Mile Creek on the west and Westchester Crescent on the north. Monsignor Vincent O'Donohue was appointed the first Pastor and Reverend John Knight as assistant priest. 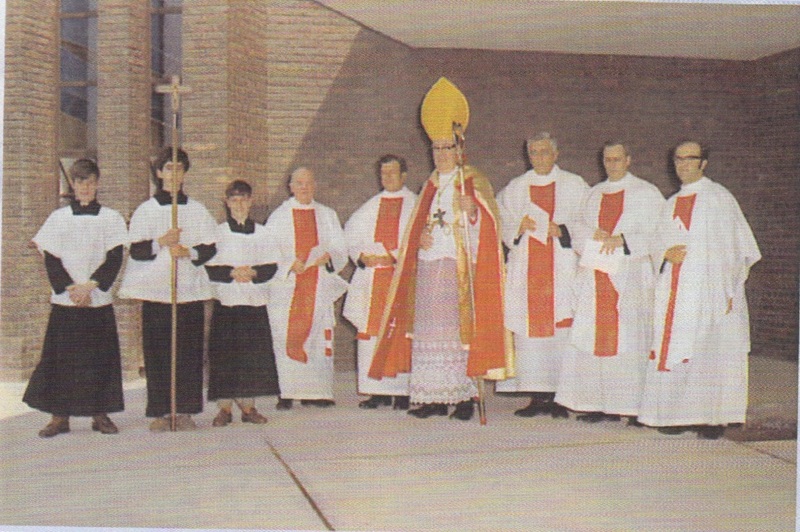 The first Mass in the new parish was celebrated on October 1, 1967 in Denis Morris High School. The late Peter Belton donated one acre of land on the south east corner of Glenridge Ave. and Glen Morris Drive for a church and this deed of land was dated September 21, 1954. It was the wish of the donor that the new church be named in memory of his late wife Julia. Within the first week after the announcement of the new parish a rectory was bought at 16 Adelene Crescent and the priests moved into their new quarters on November 15, 1967. In the course of a few months a Building Committee and a Finance Committee were formed to look into the choosing of an Architect and the construction of a new church. After many meetings of these two committees, Mr. Frank Burcher of Hamilton was chosen on October 4, 1968 as our Architect. On May 7, 1969 at a joint meeting of these two committees the Frank Lawrence Construction Company was chosen as the general contractor from his tender of $434,000.00 . On May 11, His Excellency Bishop McCarthy officiated at the ceremony for the blessing of the ground and the turning of the first sod. For this event First Communion class of St. Peter and Christ the King Schools were present and formed a guard of honor for the Bishop. 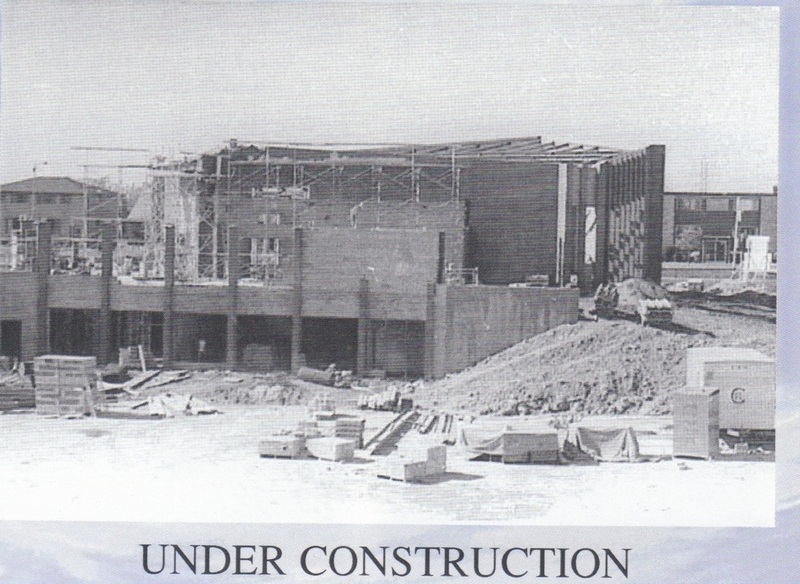 The construction work for the new church began on May 23. It was by a happy coincidence that this is the Feast of St. Julia. 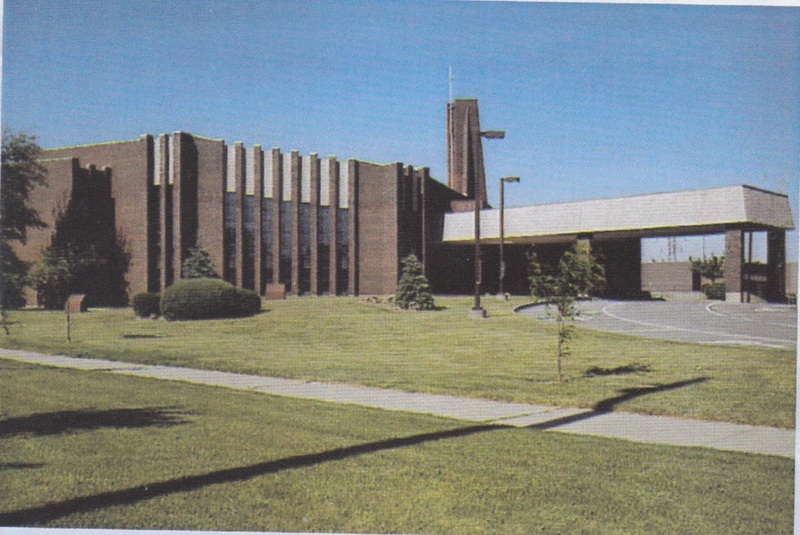 One year later on Sunday, May 10, 1970 at the 11:30 a.m. Mass his Excellency Bishop McCarthy officiated at the opening and solemn blessing of the new church.